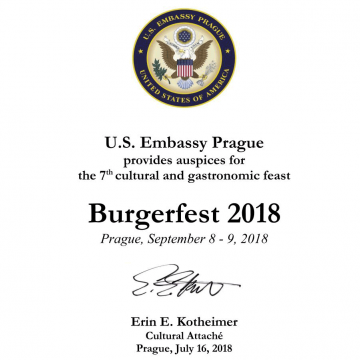 BURGERFEST wants you the most! And a lot of good burger! Thank you all for your support, without you, it would not be us! On Saturday, at 10 it starts! Taste all burgers not only from the proven burgers but also new burger house. This time it will be at “Křižíkova fontána” – behind of the main building. The tickets are only available on the spot now (2-days tickets only for 100 CZK). So do not eat and come straight! Well, let’s take the whole family – children and dogs welcome! We are also prepaired for veggies and who has gluten free diet – because we have a few companies that do not forget about them in their menu! We are for whole family! Take all the children with you, we have a large “Primáček area” where they can enjoy a lot of fun and up-to 120 cm is FREE entrance! On Saturday at 12:00 will perform their famous band “Čiperkové” after go to INSTAX zone, where is a signing event! What else? 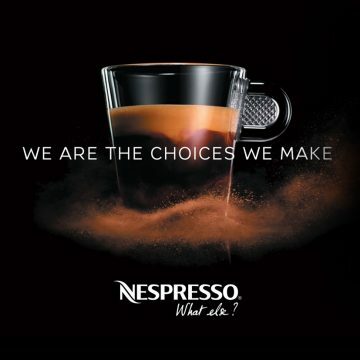 Nespresso at Burgerfest! After all tasty burgers, beers and wine have something sweet! At Burgerfest find special rolled icecream by Rolls Bros, or waffle from Smile Waffle, and simply have your cup of Nespresso coffee! We have a ready-made program for you and, of course, including cooking show! 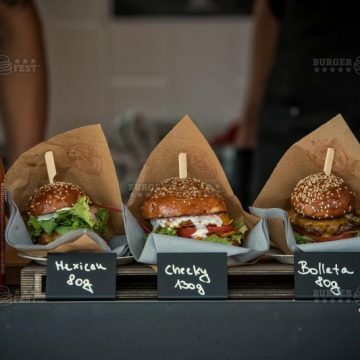 In addition to the foreign grill masters, you can look forward to an extra evening show by Burgerfest founder – Zed, who will invite the lively Italian – Matte de Carli, former chef in the Michelin restaurant and now a successful restaurateur. Do not miss it! You can also win Instax camera at ČSFD web site and free tickets as well! The question is: what time shows will be! Kids have a lot of fun with Prima TV cartoons, popular board games, discovering sand painting, trying jumping and much more. 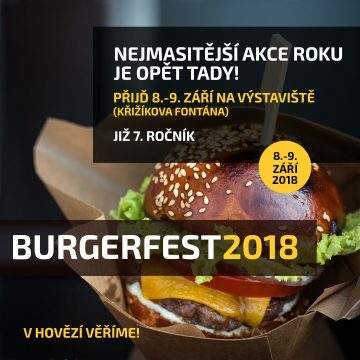 So you have a time to taste all kind of burgers and enjoy whole days at this biggest burger’s event! The festival is coming soon, in addition to the burger legends, new burger houses will show you their art! 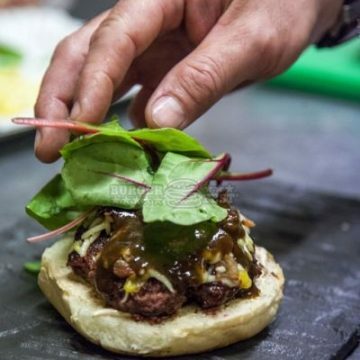 Come try to taste wide variation of burgers in all possible tastes and styles. Traditionally, we do not forget on vegetarian and who has gluten-free diet! Well, after a good portion of the meat, you can put a sweet dot in the form of Rolls Bros rolled ice-cream or classics of Carte D’Or, and then cup of fine coffee from Nespresso. 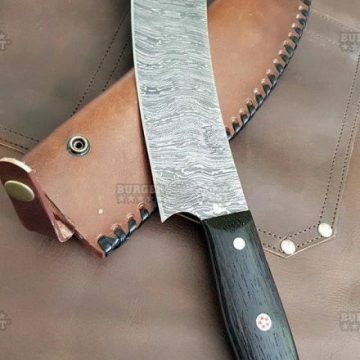 Would you like beer, Corona, Prosecco, wine from the southern slopes or something sharper? So go to the truck full of the best whiskey – Jack Daniel’s. You can taste great mixed drinks, such as classic Jack with a coke, Cinnamon “Fire Strudl” or Honey on ice. That’s just the real America! 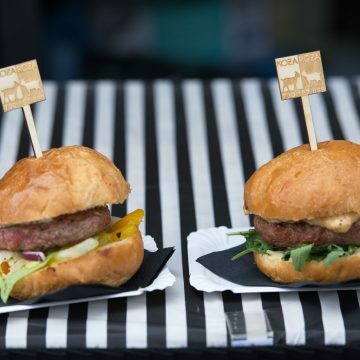 BUY A TICKET ON THE BIGGEST BURGER FESTIVAL 🍔 in Europe! You’re tasting super burgers, will enjoy the BBQ Pit Boys chapters show and entertain you stars like Lord Bishop , Monna, Abraxas 🎶, guys from Na stojáka and more. 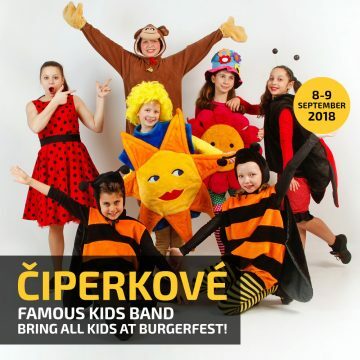 We do not forget even the smallest and therefore their beloved band “Čiperková” will perform! 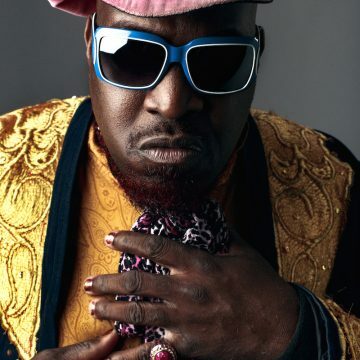 We have prepared several musical stars this year and one of them is this inimitable guitarist from the New York Bronx with his band Lord Bishop Rocks! Do you want to show that just your burger house is doing the best burgers? 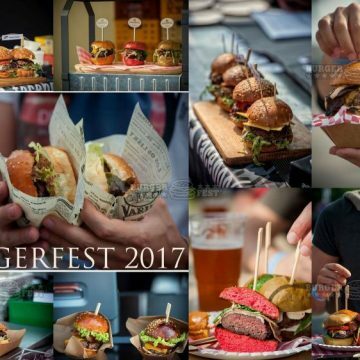 Sign up for Burgerfest. Registration for new entrants will be launched on June 25, 2017 here on the web! Beware, the capacity is limited and the places are fast full. 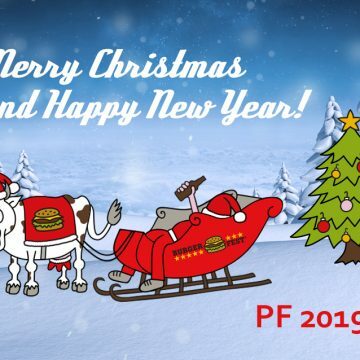 Check our Facebook, not miss a Burgerfest barbecue collection. Wait for the news, you have something to look forward to. and this year you can looking forward to their fresh younger brothers! 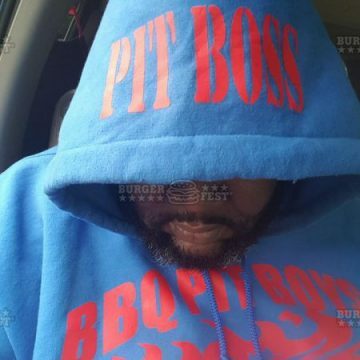 Pit Boss is coming baby 🙂 And you have something to look forward to because Jermaine Marshall is a marine monster specialist and a true Southern Barbecue with a Creole-style touch. Sea food jambalaya from Jarmaine is simply the most! 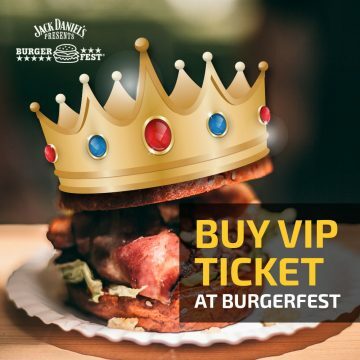 BURGERFEST also streamed to SOUTH KOREA The most impressive event of Jack Daniel’s presents Burgerfest took place on the 9th and 10th of September 2017 at the Holešovice Exhibition Grounds and the visitors enjoyed the 6th annual biggest burger festival in Europe. Imagine smell of grilled beef … can you smell that? It’s smells guuud! Burger legends and new businesses have come from the Czech Republic, but also from our neighbors from Slovakia. Visitors were tasting a variety of burgers throughout the weekend in all possible tastes and presentations, and of course the burgers for vegies or bulk in gluten-free version. After a good portion of the meat, there was also a sweet dot in the form of a cronut, which is a combination of a donut and a croissant, or ice cream hamburger. For your dry throats was served not only Airstream from Staropramen, but also famous lemonade from KOLI with family tradition, and lovers of something sharper went directly to Jack Daniel’s’s truck that was as usual full of the best whiskey. The program was great – on Saturday singing with her band Tonya Graves, with an unmistakable voice and charisma and K2 band. On Sunday the original artists from The Tap Tap. 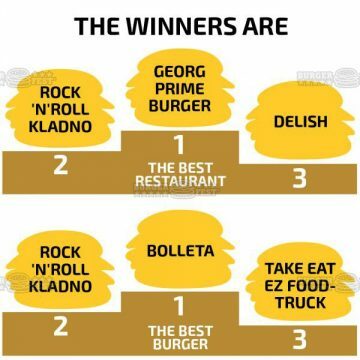 There were favorite contests for The best burger and restaurant of Burgerfest 2017. The winners were awarded valuable prizes. The newest was the contest of “Nejrychlejší vodražeč” and it was that the lucky winner went to the scooter the fastest of all and finaly drank the beer to the ex. This impressive performance brought him a win in the form of HD bike for the weekend. Burgerfest cared about our little ones, and Funpark Žirafa had a lot of game activities and fun for them. Burgerfest also helped and, together with the INSTAX donated 70.000 CZK for handicapped artists. Was over 4000 kg of beef, consumed thousands of gallons of beer, soft drinks and a lot of Tennessee whiskey JD sooo…. 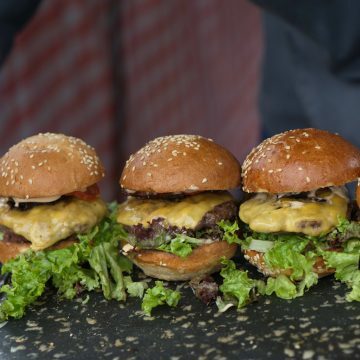 You can look forward to next Burgerfest that will be hold on September 8-9. 2018 again at the Exhibition Grounds in Holešovice Prague. And why are we actually doing this? Because “In beef we trust”.